This is the collection of official Samsung Galaxy S5 User Manual in all languages! We try to cover all variations of Samsung Galaxy S5 in all 150 regions/countries. All of the Galaxy S5 user manuals are in PDF format. You can download it to your devices (PC, smartphone, tablet) to read it later or read it online in your browser. In different regions or countries, or even for different carriers, Galaxy S5 may be slightly different. So, please try to download and use the user manual for your Galaxy S5. If you cannot find the user manual for your Galaxy S5, please let us know in the comment box below. Major Update: Galaxy S5 has been updated to Android Lollipop 5.0 in more and more regions. A special user guide section for Galaxy S5 updated with Android Lollipop was created in this page. Click here to jump to Lollipop section. The following #1-#47 are for Galaxy S5 with KitKat 4.4. Update: Galaxy S5 user guide with Android Lollipop update in all languages is consolidated in this page. This Galaxy S5 user manual is for Galaxy S5 sold in Europe and Southeast Asia. The corresponding model number is SM-G900F with 4G LTE. If you cannot find the manual for your Galaxy S5, you can try this one. This AT &T Galaxy S5 user manual is for Galaxy S5 sold for AT&T (US) customers. The corresponding model number is SM-G900A with 4G LTE. If you are NOT an AT&T customer, please do NOT use this Galaxy S5 manual because the features described in this manual may be substantially different from your Galaxy S5. This Verizon Galaxy S5 user manual is for Galaxy S5 sold for Verizon (US) customers only . The corresponding model number is SM-G900V with 4G LTE. If you are NOT a Verizon (US) customer, please do NOT use this Galaxy S5 manual because the features described in this manual may be substantially different from your Galaxy S5. This T-Mobile Galaxy S5 user manual is for Galaxy S5 sold for T-Mobile (US) customers only . The corresponding model number is SM-G900T with 4G LTE. If you are NOT a T-Mobile (US) customer, please do NOT use this Galaxy S5 manual because the features described in this manual may be substantially different from your Galaxy S5. This Sprint Galaxy S5 user manual is for Galaxy S5 sold for Sprint (US) customers only . The corresponding model number is SM-G900P with 4G LTE. If you are NOT a Sprint (US) customer, please do NOT use this Galaxy S5 manual because the features described in this manual may be substantially different from your Galaxy S5. 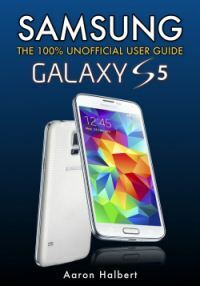 This MetroPCS Galaxy S5 user manual is for Galaxy S5 sold for MetroPCS (US) customers only . The corresponding model number is SM-G900T1 with 4G LTE. If you are NOT a MetroPCS (US) customer, please do NOT use this Galaxy S5 manual because the features described in this manual may be substantially different from your Galaxy S5. This Chinese version of Galaxy S5 user manual is for Galaxy S5 sold in Southeast Asia (e.g., Singapore, Malaysia, Thailand..) . The corresponding model number is SM-G900F with 4G LTE. This Chinese version of Galaxy S5 user manual is NOT for Galaxy S5 sold in China (mainland). The Galaxy S5 model sold in China market is substantially different from the S5 model sold in SEA. This Russian version of Galaxy S5 user manual is for Galaxy S5 sold in Russia (Russian Federation). The corresponding model number is SM-G900F with 4G LTE. If your Galaxy S5 was not bought in Russia, the features described in this Galaxy S5 user guide may be different from those in your Galaxy S5. Download link: Samsung Galaxy S5 User Manual in Russian Language (Русский язык) (SM-G900F, Russia). This Brazilian Portuguese version of Galaxy S5 user manual is for Galaxy S5 sold in Brazil (Federative Republic of Brazil). The corresponding model number is SM-G900F with 4G LTE. If your Galaxy S5 was not bought in Brazil, the features described in this Galaxy S5 user guide may be different from those in your Galaxy S5. Download link: Samsung Galaxy S5 User Manual in Brazilian Portuguese (Português do Brasil) (SM-G900M, Brazil). This Polish Portuguese (język polski) version of Galaxy S5 user manual is for Galaxy S5 sold in Poland (Republic of Poland). The corresponding model number is SM-G900F with 4G LTE. If your Galaxy S5 was not bought in Poland, the features described in this Galaxy S5 user guide may be different from those in your Galaxy S5. The English version of Galaxy S5 user manual is for Galaxy S5 sold in Europe and Southeast Asia. The corresponding model number is SM-G900H, 3G only, without 4G LTE. If you cannot find the manual for your Galaxy S5 (3G only), you can try this one. Download link: Samsung Galaxy S5 User Manual in English for International versions (SM-G900H, Europe and Asia). The Russian version of Galaxy S5 user manual is for Galaxy S5 sold in Russia (Russian Federation). The corresponding model number is SM-G900H, 3G only, without 4G LTE. If your Galaxy S5 was not bought in Russia, the features described in this Galaxy S5 user manual may be different from those in your Galaxy S5. Download link: Samsung Galaxy S5 User Manual in Russian Language (Русский язык) (SM-G900H, Russia). The French version of Galaxy S5 user manual is for Galaxy S5 sold in France (French Republic). The corresponding model number is SM-G900F with 4G LTE. If your Galaxy S5 was not bought in France, the features described in this Galaxy S5 user guide may be different from those in your Galaxy S5. Download link: Samsung Galaxy S5 User Manual in French Language (français) (SM-G900F, France). The German version of Galaxy S5 user manual is for Galaxy S5 sold in Germany (Federal Republic of Germany). The corresponding model number is SM-G900F with 4G LTE. If your Galaxy S5 was not bought in Germany, the features described in this Galaxy S5 user guide may be different from those in your Galaxy S5. Download link: Samsung Galaxy S5 User Manual in German Language (Deutsch) (SM-G900F, Germany). The Greek version of Galaxy S5 user manual is for Galaxy S5 sold in Greece (Hellenic Republic). The corresponding model number is SM-G900F with 4G LTE. If your Galaxy S5 was not bought in Greece, the features described in this Galaxy S5 user guide may be different from those in your Galaxy S5. Download link: Samsung Galaxy S5 User Manual in Greek Language ( ελληνικά) (SM-G900F, Greece). The Slovenian version of Galaxy S5 user manual is for Galaxy S5 sold in Slovenia (Republic of Slovenia). The corresponding model number is SM-G900F with 4G LTE. If your Galaxy S5 was not bought in Slovenia, the features described in this Galaxy S5 user guide may be different from those in your Galaxy S5. Download link: Samsung Galaxy S5 User Manual in Slovenian Language (slovenski jezik) (SM-G900F, Slovenia). The Swedish version of Galaxy S5 user manual is for Galaxy S5 sold in Sweden ( Kingdom of Sweden). The corresponding model number is SM-G900F with 4G LTE. If your Galaxy S5 was not bought in Sweden, the features described in this Galaxy S5 user guide may be different from those in your Galaxy S5. Download link (PDF): Samsung Galaxy S5 User Manual in Swedish Language (svenska) (SM-G900F, Sweden). The Finnish version of Galaxy S5 user manual is for Galaxy S5 sold in Finland (Republic of Finland). The corresponding model number is SM-G900F with 4G LTE. If your Galaxy S5 was not bought in Finland, the features described in this Galaxy S5 user guide may be different from those in your Galaxy S5. Download link (PDF): Samsung Galaxy S5 User Manual in Finnish Language (Suomen kieli) (SM-G900F, Finland). The Norwegian version of Galaxy S5 user manual is for Galaxy S5 sold in Norway ( Kingdom of Norway). The corresponding model number is SM-G900F with 4G LTE. If your Galaxy S5 was not bought in Norway, the features described in this Galaxy S5 user guide may be different from those in your Galaxy S5. Download link (PDF): Samsung Galaxy S5 User Manual in Norwegian Language (norsk) (SM-G900F, Norway). The Danish version of Galaxy S5 user manual is for Galaxy S5 sold in Denmark (Kingdom of Denmark). The corresponding model number is SM-G900F with 4G LTE. If your Galaxy S5 was not bought in Denmark, the features described in this Galaxy S5 user guide may be different from those in your Galaxy S5. Download link (PDF): Samsung Galaxy S5 User Manual in Danish Language (dansk) (SM-G900F, Denmark). The Australian English version of Galaxy S5 user manual is for Galaxy S5 sold in Australia (Commonwealth of Australia). The corresponding model number is SM-G900I with 4G LTE. If your Galaxy S5 was not bought in Australia, the features described in this Galaxy S5 user guide may be different from those in your Galaxy S5. Download link (PDF): Samsung Galaxy S5 User Manual in English (Australian) (SM-G900I, Australia). The Hebrew language version of Galaxy S5 user manual is for Galaxy S5 sold in Israel (State of Israel). The corresponding model number is SM-G900F with 4G LTE. If your Galaxy S5 was not bought in Israel, the features described in this Galaxy S5 user guide may be different from those in your Galaxy S5. Download link (PDF): Samsung Galaxy S5 User Manual in Hebrew language (עברית ʿIvrit) (SM-G900F, State of Israel). The Korean language version of Galaxy S5 user manual is for Galaxy S5 sold in South Korea (Republic of Korea) for SK Telecom customers only. The corresponding model number is SM-G900S with 4G LTE. If your Galaxy S5 was not bought in South Korea, or you are not a customer of SK Telecom, the features described in this Galaxy S5 user guide may be different from those in your Galaxy S5. Download link (PDF): Samsung Galaxy S5 User Manual in Korean language (한국어, 조선말) (SM-G900S, SK Telecom, South Korea). The Korean language version of Galaxy S5 user manual is for Galaxy S5 sold in South Korea (Republic of Korea) for Korea Telecom customers only. The corresponding model number is SM-G900K with 4G LTE. If your Galaxy S5 was not bought in South Korea, or you are not a customer of Korea Telecom, the features described in this Galaxy S5 user guide may be different from those in your Galaxy S5. Download link (PDF): Samsung Galaxy S5 User Manual in Korean language (한국어, 조선말) (SM-G900K, Korea Telecom, South Korea). The Korean language version of Galaxy S5 user manual is for Galaxy S5 sold in South Korea (Republic of Korea) for LG U Plus customers only. The corresponding model number is SM-G900L with 4G LTE. If your Galaxy S5 was not bought in South Korea, or you are not a customer of LG U Plus, the features described in this Galaxy S5 user guide may be different from those in your Galaxy S5. Download link (PDF): Samsung Galaxy S5 User Manual in Korean language (한국어, 조선말) (SM-G900L, LG U Plus, South Korea). The English language version of Galaxy S5 user manual is for Galaxy S5 sold in Canada. The corresponding model number is SM-G900W8 with 4G LTE. If your Galaxy S5 was not bought in Canada, the features described in this Galaxy S5 user guide may be different from those in your Galaxy S5. Download link (PDF): Samsung Galaxy S5 User Manual in English (Canadian) (SM-G900W8, Canada). The French language version of Galaxy S5 user manual is for Galaxy S5 sold in Canada, NOT in France (see #13 instead). The corresponding model number is SM-G900W8 with 4G LTE. Download link (PDF): Samsung Galaxy S5 User Manual in French Language (français, Canadian) (SM-G900W8, Canada). The Spanish language version of Galaxy S5 user manual is for Galaxy S5 sold in Spain (Kingdom of Spain). The corresponding model number is SM-G900F with 4G LTE. If your Galaxy S5 was not bought in Spain, the features described in this Galaxy S5 user guide may be different from those in your Galaxy S5. Download link (PDF): Samsung Galaxy S5 User Manual in Spanish Language (español) (SM-G900F, Spain). The Italian language version of Galaxy S5 user manual is for Galaxy S5 sold in Italy (Italian Republic). The corresponding model number is SM-G900F with 4G LTE. If your Galaxy S5 was not bought in Italy, the features described in this Galaxy S5 user guide may be different from those in your Galaxy S5. Download link (PDF): Samsung Galaxy S5 User Manual in Italian Language (Lingua italiana) (SM-G900F, Italy). The Thai Language (Siamese) version of Galaxy S5 user manual is for Galaxy S5 sold in Thailand (Kingdom of Thailand). The corresponding model number is SM-G900F with 4G LTE. If your Galaxy S5 was not bought in Thailand, the features described in this Galaxy S5 user guide may be different from those in your Galaxy S5. Download link (PDF): Samsung Galaxy S5 User Manual in Thai Language (Siamese, ภาษาไทย phasa thai) (SM-G900F, Thailand). The Arabic Language version of Galaxy S5 user manual is for Galaxy S5 sold in the Middle East and Africa. The corresponding model number is SM-G900F with 4G LTE. If your Galaxy S5 was not bought in the Middle East and Africa, the features described in this Galaxy S5 user guide may be different from those in your Galaxy S5. Download link (PDF): Samsung Galaxy S5 User Manual in Arabic Language (العربية/عربي/عربی al-ʻarabīyah/ʻarabī ) (SM-G900F, Middle East and Africa). The Arabic Language version of Galaxy S5 user manual is for Galaxy S5 sold in the Middle East and Africa. The corresponding model number is SM-G900H with 3G only (no 4G LTE). Download link (PDF): Samsung Galaxy S5 User Manual in Arabic Language (العربية/عربي/عربی al-ʻarabīyah/ʻarabī ) (SM-G900H, 3G only, Middle East and Africa). The Serbian language (српски srpski) version of Galaxy S5 user manual is for Galaxy S5 sold in Serbia (Republic of Serbia). The corresponding model number is SM-G900F with 4G LTE. If your Galaxy S5 was not bought in Serbia, the features described in this Galaxy S5 user guide may be different from those in your Galaxy S5. Download link (PDF): Samsung Galaxy S5 User Manual in Serbian language (српски srpski) (SM-G900F, Serbia). The Macedonian language (Македонски јазик) version of Galaxy S5 user manual is for Galaxy S5 sold in Macedonia (Republic of Macedonia). The corresponding model number is SM-G900F with 4G LTE. If your Galaxy S5 was not bought in Macedonia, the features described in this Galaxy S5 user guide may be different from those in your Galaxy S5. Download link (PDF): Samsung Galaxy S5 User Manual in Macedonian language (Македонски јазик) (SM-G900F, Macedonia). The Croatian language (hrvatski) version of Galaxy S5 user manual is for Galaxy S5 sold in Croatia (Republic of Croatia). The corresponding model number is SM-G900F with 4G LTE. If your Galaxy S5 was not bought in Croatia, the features described in this Galaxy S5 user guide may be different from those in your Galaxy S5. Download link (PDF): Samsung Galaxy S5 User Manual in Croatian language (hrvatski) (SM-G900F, Croatia). The Slovak language (slovenský jazyk) version of Galaxy S5 user manual is for Galaxy S5 sold in Slovakia (Slovak Republic). The corresponding model number is SM-G900F with 4G LTE. If your Galaxy S5 was not bought in Slovakia, the features described in this Galaxy S5 user guide may be different from those in your Galaxy S5. Download link (PDF): Samsung Galaxy S5 User Manual in Slovak language (slovenský jazyk) (SM-G900F, Slovak Republic). The Hungarian language (magyar) version of Galaxy S5 user manual is for Galaxy S5 sold in Hungary (Magyarország). The corresponding model number is SM-G900F with 4G LTE. If your Galaxy S5 was not bought in Hungary, the features described in this Galaxy S5 user guide may be different from those in your Galaxy S5. Download link (PDF): Samsung Galaxy S5 User Manual in Hungarian language (magyar) (SM-G900F, Hungary). The English language version of Galaxy S5 user manual is for Galaxy S5 sold in Latin America. The corresponding model number is SM-G900H with 3G. If your Galaxy S5 was not bought in Latin America, the features described in this Galaxy S5 user guide may be different from those in your Galaxy S5. Download link (PDF): Samsung Galaxy S5 User Manual in English language (SM-G900H, Latin America). The Spanish Language (español)version of Galaxy S5 user manual is for Galaxy S5 sold in Latin America. The corresponding model number is SM-G900H with 3G. Download link (PDF): Samsung Galaxy S5 User Manual in Spanish Language (español) (SM-G900H, Latin America). The Spanish Language (español)version of Galaxy S5 user manual is for Galaxy S5 sold in Latin America. The corresponding model number is SM-G900M with 3G. Download link (PDF): Samsung Galaxy S5 User Manual in Spanish Language (español) (SM-G900M, Latin America). The English language version of Galaxy S5 user manual is for Galaxy S5 sold in Latin America. The corresponding model number is SM-G900M with 3G. Download link (PDF): Samsung Galaxy S5 User Manual in English language (SM-G900M, Latin America). The Lithuanian language (lietuvių kalba) version of Galaxy S5 user manual is for Galaxy S5 sold in Lithuania (Republic of Lithuania). The corresponding model number is SM-G900F with 4G LTE. If your Galaxy S5 was not bought in Lithuania, the features described in this Galaxy S5 user guide may be different from those in your Galaxy S5. Download link (PDF): Samsung Galaxy S5 User Manual in Lithuanian language (lietuvių kalba) (SM-G900F, Lithuania). The Latvian language (latviešu valoda) version of Galaxy S5 user manual is for Galaxy S5 sold in Latvia (Republic of Latvia). The corresponding model number is SM-G900F with 4G LTE. If your Galaxy S5 was not bought in Latvia, the features described in this Galaxy S5 user guide may be different from those in your Galaxy S5. Download link (PDF): Samsung Galaxy S5 User Manual in Latvian language (latviešu valoda) (SM-G900F, Latvia). The Estonian language (eesti keel) version of Galaxy S5 user manual is for Galaxy S5 sold in Estonia (Republic of Estonia). The corresponding model number is SM-G900F with 4G LTE. If your Galaxy S5 was not bought in Estonia, the features described in this Galaxy S5 user guide may be different from those in your Galaxy S5. Download link (PDF): Samsung Galaxy S5 User Manual in Estonian language (eesti keel) (SM-G900F, Estonia). The Portuguese language (Português) version of Galaxy S5 user manual is for Galaxy S5 sold in Portugal (Portuguese Republic). The corresponding model number is SM-G900F with 4G LTE. If your Galaxy S5 was not bought in Portugal, the features described in this Galaxy S5 user guide may be different from those in your Galaxy S5. Download link (PDF): Samsung Galaxy S5 User Manual in Portuguese language (Português) (SM-G900F, Portugal). The Persian language (Parsi/Farsi, پارسی) version of Galaxy S5 user manual is for Galaxy S5 sold in Iran (Islamic Republic of Iran). The corresponding model number is SM-G900H with 3G /WiFi only. If your Galaxy S5 was not bought in Iran, the features described in this Galaxy S5 user guide may be different from those in your Galaxy S5. Download link (PDF): Samsung Galaxy S5 User Manual in Persian language (Parsi/Farsi, پارسی) (SM-G900H, Iran). The English version of Galaxy S5 Mini user manual is for Galaxy S5 mini sold in Europe and Southeast Asia. The corresponding model number is SM-G800F. If you cannot find the manual for your Galaxy S5 Mini, you can try this one. Download link: Samsung Galaxy S5 Mini User Manual in English for International versions (SM-G800F, Europe and Asia). Galaxy S5 user manual is for Galaxy S5 that are updated to Android Lollipop 5.0 can be found in this page. If you cannot find the Galaxy S5 user manual in your language or for your device, please let us known in the comment box below. We will try to add the user guides in your language as fast as we can. The manual for SM-G900W8 is not released yet. Very likely, it will be available in one or two weeks. The French version of the Galaxy S5 manual (#13) is for European model (SM-G900F). It may be slightly different from yours. 900I is for Asia market. What is the region /country? Thank you for the info. The user manual for SM-G900I was added as #21. Enjoy! I just bought mine in the USA but want to change the language to Hebrew on the phone (for Israel)…. does anyone know how can i do this and ofcourse obtain the hebrew manual? The Hebrew version of the user guide was added as #22. Please note, this one if for G900F, which is international version, not US version of Galaxy S5. There is a misstype on the guide. זמו שהמעגל הקטן נמצא בתוך המעגל הגדול, המכשיר מצלם תמונה באופן אוטומטי. המשך יום נעים 🙂 וחג חנוכה שמח. דיזינגוף סנטר, סקיילקס. The Korean version of the Galaxy S5 user guides were added as #23 (SM-G900S for SK Telecom), #24 (SM-G900K, Korea Telecom) and #25 (SM-G900L for LG U Plus). The Spanish version of the user guide for Galaxy S5 (SM-G900F) was added. See #28. Esiste il manuale in italiano? Se no, a quando? See #29. The Italian language version of Galaxy S5 user manual was uploaded. Instructions in Thai, they exist ? Thai language version of the Galaxy S5 user manual was added. See #30. Enjoy your phone. In south Africa, the two models are SM-G900F (4G), and SM-G900H (3G). You may check the user manual for Europe model (#1, SM-G900F; #11, SM-G900H). See #33. Serbian language version of the S5 user manual was added. I have the Korean model (SM G900S). I would be happy to get a manual in English. Thank you. This model is exclusively for Korean market only, and there is no English version of the user manual. The Korean version of the user manual is listed as #23. If you can only read English, you can try the SM-G900F, which is close to G900S. Thank you, I did it already. You may know if there is any possibility to add Hebrew to the System language? Printed Samsung Galaxy S5 User Manuals/Guides are available on eBay for all major US wireless carriers (Verizon, AT&T, T-Mobile/metroPCS, Sprint, and US Cellular). Both Slovak language and Hungarian language versions of Galaxy S5 user manual were added. See #36 and #37. WHAT ABOUT THE ENGLISH MANUAL FOR CENTRAL AND SOUTHERN AFRICA? I have seen that you have the guide in Spanish but this is only the model for Spain. Do you also have manuals for Sudamerica? I am interested in the manual for Mexico. You also has manuals in English but they are for US or for Europe and Asia. We will add them this week. Galaxy S5 user manuals for SM-G900M and SM-G900H in latin America were added (in English and Spanish). Please refer to #38-41 in the list. Hey, i know if I can use a Samsung s5 SM-G900V, US in Europe? G900V is for Verizon network, which is not GSM. Probably you cannot use it in Europe in most regions because most carriers are using GSM. 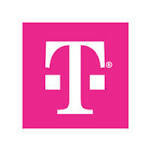 In us, you can only use it on carriers with CDMA network. Also, some phones are locked to the carrier. The G900F and G990H sold in south Africa are similar to that in Europe. You can just check the corresponding manuals in this page (#1 and #11). We will try to find and add it this weekend. The model should be SM-G900P. You may check the manual for Sprint (#5). Hi. When will you get the Portuguese (from Portugal) instructions manual? Just got mu S5, but without any instructions manual. We all check and add it this week. My phone was purchased in the states but shows as Model SM-G900H Android Version 4.4.2. Would one of the manuals above like 11 or 38 work for me. It is a factory unlocked Galaxy s5. Thanks for any help you might provide. Normally different carriers only bundle a few apps. The core functions are almost identical for same model number. Unfortunately, no user manual covers your problem. You should try #1: Samsung Galaxy S5 User Manual in English for International versions (SM-G900F, Europe and Asia). I recently bought an unlocked international use Samsung Galaxy s5. It says it’s a Model SM-G900 (no letter behind it) When I looked at the wireless update it states: Current SM-G900S_V04. I tried the AT & T manual but my phone doesn’t have all the features listed. Where can I find out how to use this phone. Ringtones are not listed under sound, can’t send or receive photos in messages, etc. I am using it on Straight Talk and have created a new APN with their settings. In the packaging box, it should have the model number and key features. Also, when you register the warranty, it will ask for the serial number. After you provide the sn, it will also link to the correct manual. Are you in easy mode? Settings-easy mode. You can find all options in standard mode. A great number of people in Iran buy Samsung, but there isn’t any persian (farsi) version guide! why?!!!!!!! there is only Korean version of the user manual for SM G900S, because it is for Korea market only. For English version, you may try the user manual for G900F. I have a Samsung Galaxy 5 lll mini GT-18190N can’t find English user manual. What would be the S5 guide for Puerto Rico, USA. My provider is Open Mobile. I believe most Korean models only have Korean version user manual. Samsung normally does not release English manual in home country. Unable to find the user manual for Samsung galaxy S5 SM G900 PHONE in English, please can you help ? G900A only has manuals in English and in Spanish. I didn’t heard of this model number. Are you sure it is Galaxy S5? user manual for Galaxy S5 SM-900S or SK maybe in English? The Korean models of Galaxy S5 does not have English manual. Samsung seldom releases English version of the user manual for models for own market. They are too proud of their on language. Anyway, you may check the user manual for the international counterpart G900F. I recently bought a Samsung Galaxy S5 with model #: SM-G9006V in Chongqing. What english user manual can you recommend for this model? Thanks. Chinese models are quite different. I will check and update this comment. For SM-G9006V, we only have user manual in Chinese. Because the model is for Chinese market (Unicom) only, I guess Samsung will not release the English version of the user manual. I have a Samsung S5, Mod. SM_G900H, It was bought in Mozambique. I downloaded some User Guides, in Spanish and English, but they are not the specific User Guide for this model. What can I do for getting the User Guide which fits the characteristics of my phone. Thank you very much. Each region may have slightly different customization. Some distributors and carriers may bundle some apps. But the phone features should be identical. These are not included in the manual normally. Did you notice any specific discrepancies between the manual and the phone? What happen is that my Galaxy S5 is an Alps SM-G900H; country:Spain. Could you tell me how can I get the User Guide for this phone? For English version, you should try #11, it’s for European market. Do you need Spanish version of the manual? We will check and add it this weekend. 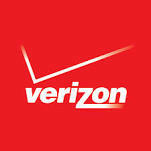 I purchased a S5 from Verizon in California for my Ukraine wife. I am dissapointed that there is Russian keyboard option but appears to not have Russian display. (At least the verizon person could not find Russian language display. The carrier usually chooses just a few languages based on customer base. This should only affects the user interface (system language). The Russian languages should be displayed properly in emails, messages and web pages. We will check. Samsung doesn’t release user manuals for all variants of galaxy s5. You can try other manuals before we can find the one fir your model. Please find #47. Samsung Galaxy S5 Mini User Manual in English for International versions (SM-G800F, Europe and Asia). We will add it within next 24 hours. We will update this comment once it is added. User guide for Samsung Galaxy S5 by Virgin Mobile? I can’t find the correct model number. I think it’s still on KitKat. Thanks for helping us all out! Probably there is no special model for Virgin mobile. Did you try the Sprint one? hi. can you please tell me Galaxy S5 model GM-900F. what does GM stand for? It should be SM. Samsung just uses it in model number to replace GT. anyway, a safe guess is that SM means Samsung mobile. The Gxxx means it’s Galaxy S series. What’s the Android version of the phone?